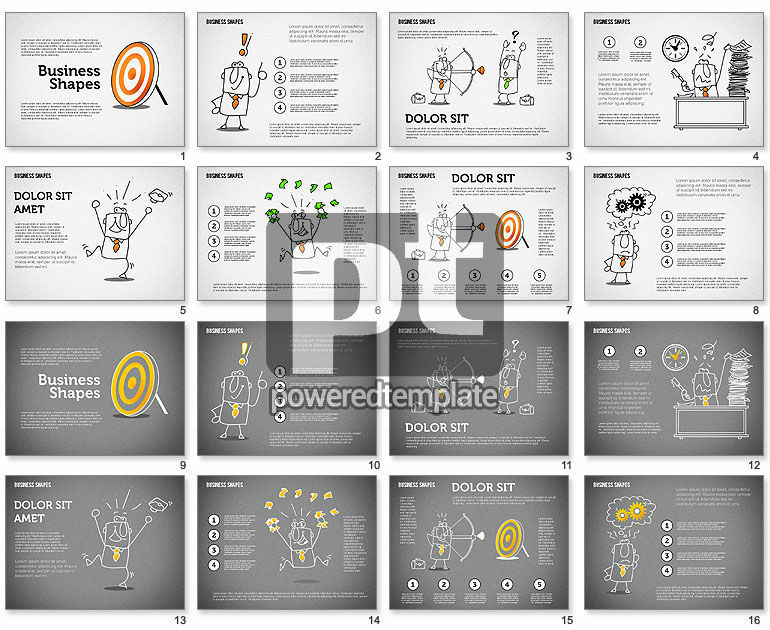 These presentation slides 46209 are complete compatible with Google Slides. Simple download PPTX and open the template in Google Slides. It is a stunning template created in a hand drawn manner and a very positive style. There are such nice details as a happy looking businessman working, jumping, shooting and so on. It is a perfect way to visualize such aspects as team plans, reaching goals, new ideas, strategies, success tips, innovations, work stages, colleagues and so on. Also this sample is represented in two color palettes.